Today marks the 30th anniversary of World AIDS Day, an international day observed since the 1980’s when HIV diagnosis was a certain death sentence and life-saving antiretrovirals were a distant dream. I’ll be joining health staff in MSF’s HIV and TB projects across sub-Saharan Africa, in parts of Asia and Eastern Europe in reflecting on an uncertain future. The world has become used to news stories presenting the HIV response as a success. Certainly in some places, particularly the global north, there is no way we can compare today with the situation 30 years ago. But if the last twenty years will be known as the ‘HIV treatment revolution’ with its massive strides in access to drugs and prevention tools thanks to vigorous international funding, from our vantage point we fear entering an era of ‘the return of AIDS’. The general impression may be that the worst is over, yet it is not. This year, UNAIDS reports that 75% of the 36.9 million people living with HIV know their HIV status, compared to just two thirds (67%) in 2015, and the fact that 59% of people have access to treatment. Yet a terrible flipside to this confident narrative of success is emerging. Global progress remains grossly uneven. There are also distressing indications that international donors are now disengaging from the fight against HIV. Nearly a million people living with HIV died from AIDS in 2017, despite the available science, tools and diagnostics. Global death tolls from AIDS have barely dropped over the last years. The global goal of 150,000 fewer deaths a year hovers on the horizon like a mirage. The number of AIDS deaths in countries where MSF works remains staggering: Democratic Republic of Congo 17,000 deaths, Guinea 5,100 deaths, Kenya 28,000 deaths, Malawi 39,000 deaths, Mozambique 70,000 deaths and South Africa 126,000 deaths. Today 30% to 40% of people worldwide who test positive for HIV and start treatment do so with an alarmingly low CD4 count (below 200), an indicator of serious immune failure, and are at grave risk. What is different today ago is that the majority of people presenting at the worst stages of AIDS already know their HIV positive status, with the majority already on antiretrovirals. In MSF supported hospitals providing care for AIDS patients the majority of patients had already been on treatment: Kinshasa (DRC) 71%, Conakry (Guinea) 62%, Homa Bay (Kenya) 60% and Nsanje (Malawi) 67% of patients. The inevitable challenges of daily treatment coupled with health systems that struggle to support them properly lead to people experiencing ‘treatment failure’, when they stop treatment or their treatment stops working for them. At worst, a significant proportion has developed resistance to existing treatment. Yet without the political acknowledgement of continued high numbers of AIDS deaths, we will not see necessary action translated on the ground for people living with HIV. Measures to deal effectively with ‘contemporary’ AIDS remain glaringly absent from today’s HIV response. 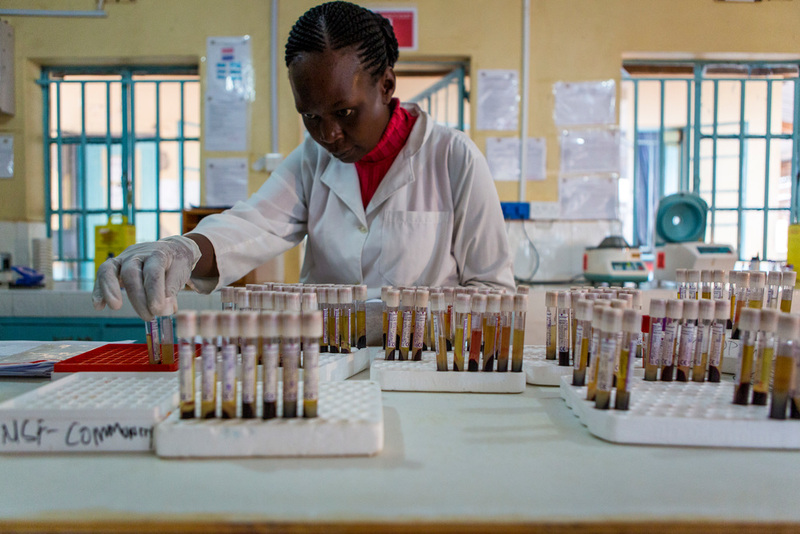 Health centres and hospitals must be equipped to quickly deliver lifesaving testing and treatment for people in advanced stages of HIV, and once recovered, guide them back to stable lifelong treatment, with a lifeline of second and third line treatment when needed. Blood sample collection in Ndiwah hospital, Homa Bay, Kenya. File image from 2017. At the same time, observations by MSF colleagues and HIV activists in Sub-Saharan Africa also indicate early signs of the deadly impact of a sharp drop in international funding that will affect millions of lives in the coming years. In countries heavily reliant on donor funding, for antiretrovirals specifically, a shortfall of international HIV funding and a treatment scale-down appear imminent at the most crucial moment. Where the last 20 years saw a generation of lives saved thanks to international solidarity, today a new generation are at risk of being lost as donors disengage. Without additional resources, countries like Central African Republic and Guinea will be forced to reduce initiation rates instead of accelerating urgently needed scale-up as they face funding shortfalls for treatment in their 2018-2020 allocations from the Global Fund to Fight AIDS, Tuberculosis and Malaria. Much has been said recently about the importance of HIV testing but it cannot be seen in isolation of the current funding context. Without secured funding to power HIV treatment and support, knowledge of one’s HIV-status is a real dilemma. People who test positive for HIV should have access to treatment, within health or community systems supported to deliver care. 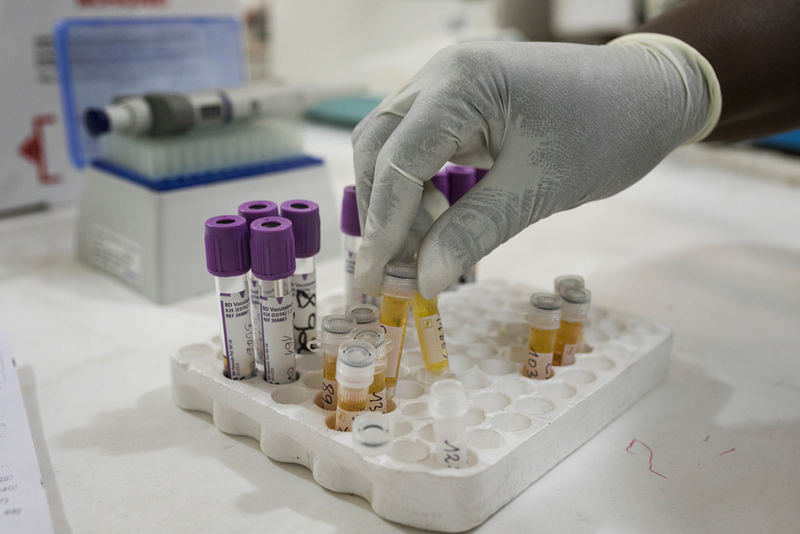 Without political commitment and ongoing funding, there will be no up-scaling of testing and treatment – nor a reduction in AIDS-related deaths. World AIDS Day is about international solidarity with people who continue to fight for survival, struggling against barriers of neglect and discrimination. These are the people and patients who need our attention. World AIDS Day 2018 is about them, those who continue to die in the shadow of success. Médecins Sans Frontières (MSF) has been involved in HIV care since 2000. In 2017, MSF provided antiretroviral treatment to 215,900 people in 27 in Africa, Asia and Eastern Europe, with a focus on implementing treatment strategies to reach more people earlier in their disease progression, and placing people living with HIV at the centre of their care. MSF is increasingly developing approaches to treat AIDS and address treatment failure, improve paediatric and adolescent HIV care, and improve the delivery of treatment in neglected contexts such as West and Central Africa and countries affected by conflict.